Not only do Ad Astra Drycleaning specialise in bridal wear, but we are also able to dry clean all of your formal wear, mother of the bride and groom, bridesmaids dresses, flower girl dresses, communion and christening gowns. Since 1950, Ad Astra Wet & Dry Cleaning have carefully looked after the people of Perth’s most precious garments in their wardrobe. We understand that wedding gowns, and other special occasion evening gowns, are priceless to you and therefore need to be cleaned and handled with the utmost care and professionalism. Our cleaning specialists will assess each gown and develop an individualised cleaning treatment program for it. 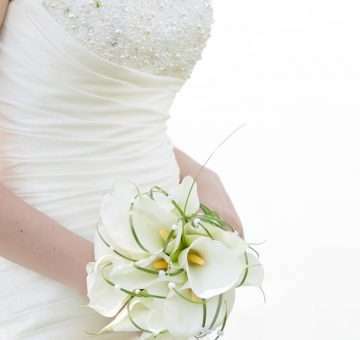 As Perth’s leading dry cleaners specialising in wedding gowns, we take your beautiful bridal gowns and make sure they retain their beauty for years to come. For all your dry clean evening gown needs, don’t hesitate to contact us today. In addition to cleaning your special bridal garments, we also provide quality storage solutions too. After every garment is professionally cleaned, we place the garment in acid-free tissue paper and carefully fold it into a quality storage box. This allows you to keep your dream dress as a family heirloom or memento for years to come. Before your dress can be brought back to brand new, you are required to complete a Consent to Clean form. which gives us both consent and a host of other information we need in order to treat the gown efficiently. Ad Astra is known as the best dry cleaners that clean wedding gowns in Perth, why use anyone else? Contact us today and we guarantee you won’t be disappointed.